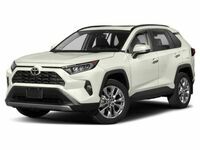 Families in search of adventure will find few vehicles that deliver like the 2017 Toyota RAV4 in Hattiesburg, MS. A pioneer and class leader in the compact crossover segment, the Toyota RAV4 is athletic, fun to drive and family oriented. After a recent upgrade, the Toyota RAV4 is more attractive than ever with a smorgasbord of innovative features that will upgrade ride quality, safety, connectivity and entertainment. Learn more about the fan favorite Toyota RAV4 at Toyota of Hattiesburg! Toyota RAV4 models are available in five standard trim levels – LE, XLE, SE, Limited and Platinum – that will not break the bank with a price that starts at just $24,410. 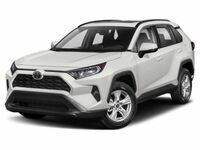 At the heart of the Toyota RAV4 design, you will find a 176-horsepower 2.5-liter four-cylinder engine that is paired with a six-speed automatic transmission to make 23 mpg in the city and 30 mpg on the highway. Drivers dedicated to fuel economy can opt for the Toyota RAV4 Hybrid, which employs a 2.5-liter Atkinson cycle engine and a high-torque electric motor to make 194 horsepower and achieve 34 mpg in the city and 30 mpg on the highway. Tailor-made for family adventures, the 2017 Toyota RAV4 in Hattiesburg, MS checks all the boxes. Equipped with the available Dynamic Torque Control All-Wheel Drive system, the Toyota RAV4 promises a confident ride when faced with rugged terrain, rough roads or inclement weather. When you pair an adventure-driven design with a cavernous 38.4 cubic feet of cargo space and room for five passengers, the Toyota RAV4 is perfect for family road trips. An athletic design is complemented by a spacious, comfortable and family-friendly interior. Inundated with features that augment connectivity, entertainment and safety, the 2017 Toyota RAV4 stands out from the automotive masses. Toyota Entune is a standard feature that provides drivers with a 6.1-inch touchscreen display, a rearview camera, a six-speaker sound system and Bluetooth connectivity. Upgraded Toyota Entune interfaces add navigation, Entune App Suite, a seven-inch touchscreen and a premium sound system. When it comes to your family's safety, the Toyota RAV4 fits the bill as an IIHS Top Safety Pick+. 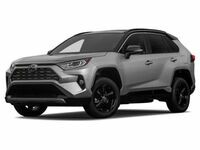 All Toyota RAV4 editions now come standard with Toyota Safety Sense collision-prevention technology that includes a Pre-Collision System with Pedestrian Detection, Lane Departure Alert with Steering Assist, Automatic High Beams and Dynamic Radar Cruise Control. Armed with this innovative technology, the 2017 Toyota RAV4 is safer than ever before.